ET News is an elegant News Portal WordPress theme which allows you to build for your news website the best look. This theme has been built by experienced web developers with high sense of aesthetic, so it has nice appearance to show off all about your site information as well as hot news in a beautiful way. It is really impressive and attractive with viewers when they visit your site and enjoy the great atmosphere of modern and stylish. Based on the latest web technologies of WordPress, such as Genesis Framework, Page Builder by SiteOrigin, and more great features to build website as the way you want quickly without putting much effort. Don’t waste your time go around for any other better option, because ET News is already the best! Layout: 1 column, 2 columns, 3 columns, responsive. PHP from 5.2.4 or higher. MySQL from 5.0.15 or higher. We offer Free Install Service for PRO UNLIMITED package, so you don’t worry about how to install it, we will help you install quickstart package (template and sample data like the demo) in your hosting. We offer a 30 Days Money Back Guarantee, it means you have 30 days for trying our product. If you have any problem with it and we can’t solve it for you, we happy to send you the full refund for your order. Joining is risk-free. We provide premium support service with as fast as possible answer from our talent support team. Anytime, if you have any problem with our product, you can submit new ticket support to get support service from us, it is Dedicate Support system. What payment methods are supported? => Right now we accept payment via Paypal and 2Checkout (Credit Card payment) to get the best security for customer’s payment in our website. What Joomla! & WordPress version are your templates support? => Our templates support Joomla! 2.5.x and Joomla! 3.x (at latest version), and WordPress on stable or latest version. Every time if OpenSource release new version, we always make an update shortly. What are the differences between PRO STANDARD and PRO UNLIMITED Editions? => The main difference about that is domain support, PRO STANDARD version only support for one domain, but with PRO UNLIMITED version, you can use template for unlimited domains/clients you want. Also, for PRO UNLIMITED, you have Free Install Service (actual cost is $20). Can I use Free version for production website? => Sure, you can use Free version for production website, just keep our copyright information for Free Product license on the footer. Free version has limited some features such as slider, page builder, portfolio,…, and do not support Quickstart package like PROs version. => We offer support via the Ticket Support System for Pro customers. FREE customers only get support via update and new releases for templates. For marketplace items, you can access product’s author ticket panel to get support service! Do your products support multi-language? => Yes, all templates support multi-language. For Joomla!, we recommend you use Joomla! core multiple languages to build multi-language for Joomla! website quickly. For WordPress, we recommend you use WMPL (https://wpml.org) or Loco plugin. Can I use your template with my existing website? => Yes, you can use Template Install package and install it for your website. However, you must recheck all old positions (widgets) and new positions in the template to re-build your layout correctly. I ordered wrong template, can I exchange it? => Absolutely, we are happy to offer you 30 days money back, which means you can try or exchange our products within 30 days without paying any extra cost. All mistakes can be fixed at Agethemes! What is the difference between Agethemes license and Marketplace license? => There is no difference. When you go with Pro Standard, you have 1 domain license, and with Pro Unlimited, you will get unlimited domain license. How about the support policy if I buy a template on your Marketplace? => You can send a ticket through Agethemes ticket system, template author will support you exactly like a client of Agethemes. How about refund policy of your Marketplace? => You will get a 100% refund if Author of the template you bought cannot solve the technical problem for you. Do Agethemes’ memberships include Marketplace templates? No, Agethemes memberships only include templates with “AT” beginning in its names (for example: AT Business, AT University). EngineTemplate is a reliable WordPress themes provider who brings you the highest quality of web design! Safety payment with 30 Days Money Back Guarantee, risk-free! 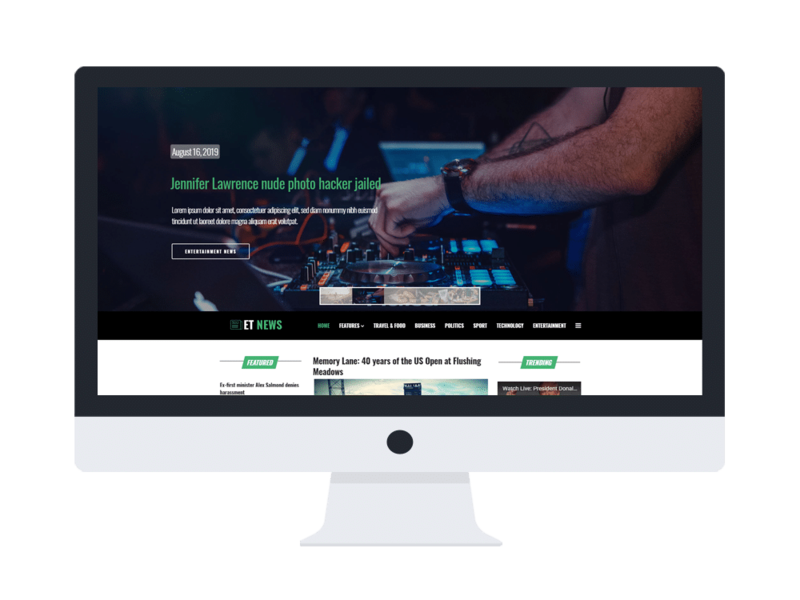 (Slider, Portfolio, Page Builder, Extended Style,…). (Full all features as Live Demo). and 90+ Onepage Joomla! templates with cheapest code, save 95% money than single PRO license purchase! 25% OFF for all templates, don't miss this deal to get PRO version! Go to Marketplace and pick your right template!